Sometimes the Stars: Icehouse and Michael Paynter = Stellar. Icehouse and Michael Paynter = Stellar. You're probably already sick of me telling you that I love music... It's true... But here is some more music love for you. 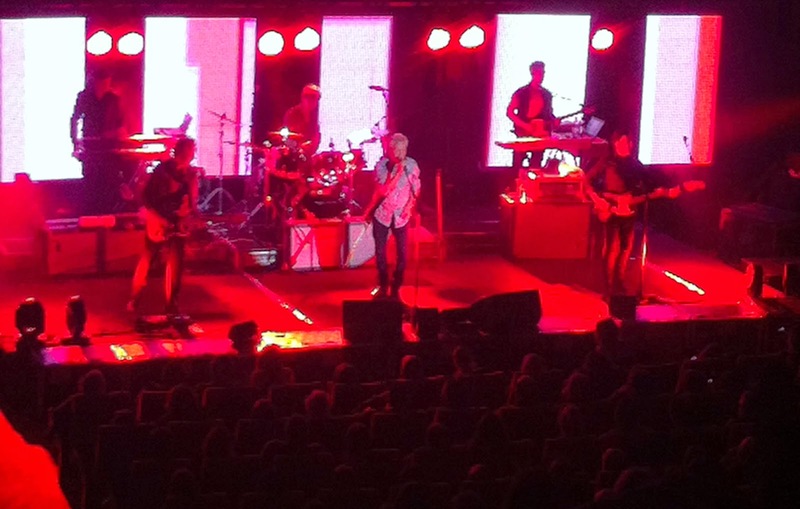 I was lucky enough to go and see Icehouse and Michael Paynter perform recently, and it was amazing. If you're not Australian, then you might not have heard of Icehouse, but they are a band that were dominating the radio waves in the 80's. Michael Paynter, on the other hand is a Melbourne singer-songwriter-multi-instrumentalist-allroundniceguy, who was born in the 80's. Michael Paynter doing his thing. Michael Paynter is a favourite of mine (as you can see here), and when I heard that he was coming to my town playing in Icehouse, as well as being the support act, I was incredibly excited. This was my fourth time seeing Michael perform live, and I was back at the venue where I had first witnessed his amazing talent. He did not disappoint. Armed with just an acoustic guitar and his stellar voice, he managed to keep the excited crowd quiet. He started his set with a stripped back version of 'Another You,' from his album 'Weary Stars,' and filled the rest of his set with new takes on songs from the album, ('Love The Fall,' 'Weary Stars' and 'Let Go,') as well as some back catalog stuff ('Freedom's Not For Me' and 'Closer'). A cover of Elvis' 'My Babe' also made it into the mix. All songs performed to perfection, with Michael's trademark range and vibrato. And not to forget the between-song banter that Michael does so well, making fun of himself for audience amusement. Next up were Icehouse, who after 20+ years of playing and touring have got it down to a fine art. Watching these guys was like watching them jam in the studio, nice, relaxed and fun. 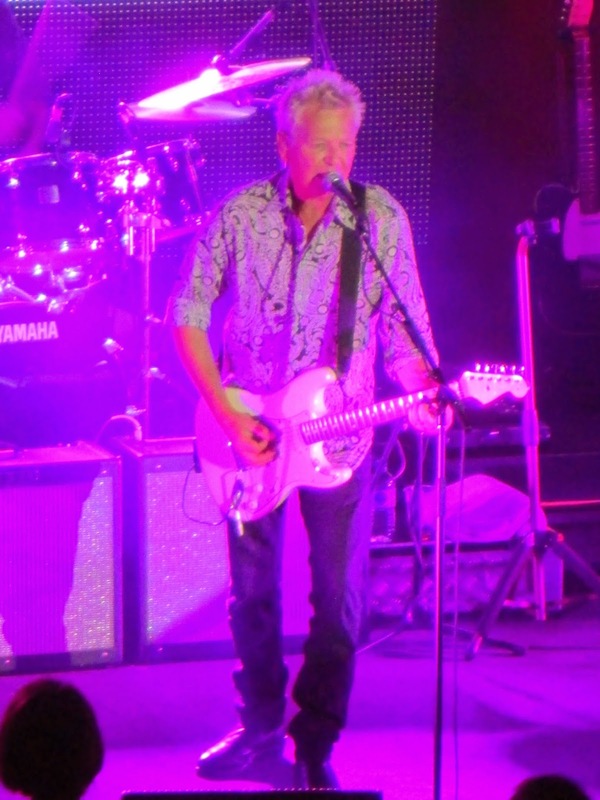 Iva Davies' voice is as good as it is recorded, and he commands an audience when he sings. And you can tell the band has been playing together for a while, purely by the way they interact on stage. The man himself, Iva Davies. They played all of their hits ('Electric Blue,' 'Crazy,' 'Hey Little Girl,' 'Great Southern Land,' 'We Can Get Together,') and so many more. Each band member had their time to shine, with sax solos, guitar solos, drum solos and keys solos left right and centre. Michael Paynter even got his time in the spotlight, taking the lead on 'Touch The Fire.' The only disappointment of the night, was the fact that 'Man of Colour' didn't make it into the set. I've seen many a video of Iva and Michael performing it together, and it's a shame I couldn't witness it in person. All in all, a brilliant night of music, and despite ending up with seats in the nosebleed section, it was still phenomenal. Have you seen any good gigs lately? I'd love to know. 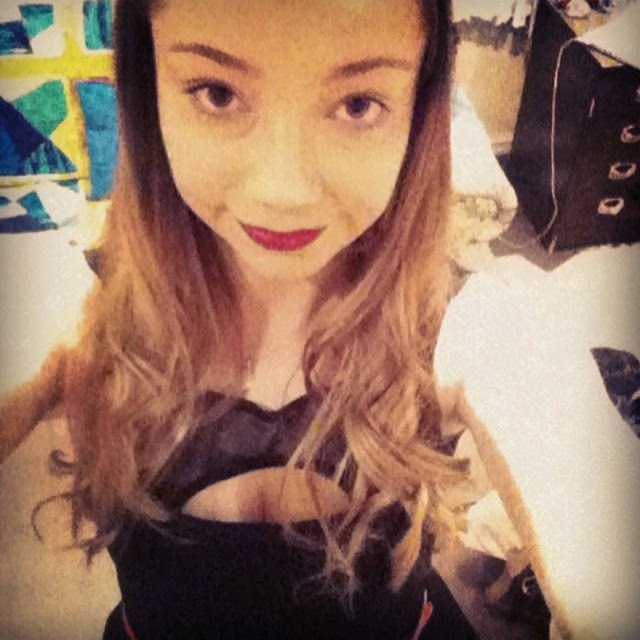 Rimmel Lasting Finish by Kate Moss Lipsticks.